LTO-8 is the latest generation of the Ultrium LTO specification. 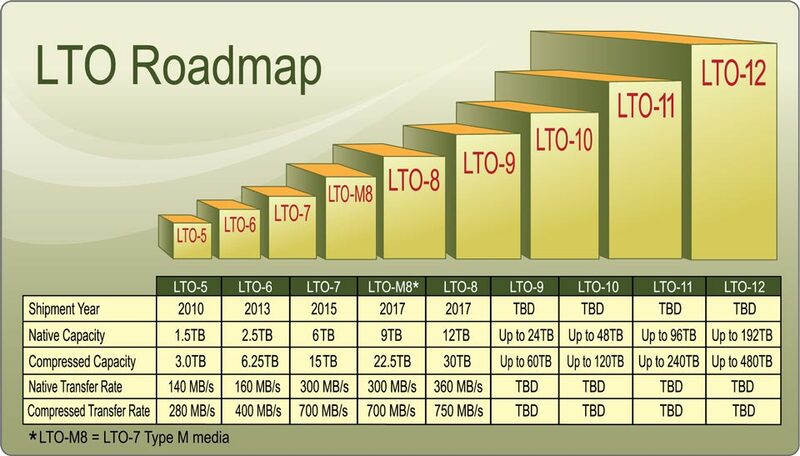 The technology improvements for LTO-8 tape drives and media have increased capacity, performance, and reliability. 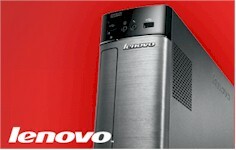 The LTO-8 drive is available in two versions: full-height (FH) and half-height (HH) drive form factors. the release of LTO-8 (2017). (flangeless design providing a smoother tape path). circuitry and mechanical assemblies. With a larger motor it benefits with faster tape and transfer speeds. It is more robust to shocks, vibrations and tape insertions. FH has a much lower running temperature. differences that clearly make the FH drive the better choice for high-duty cycle environments. 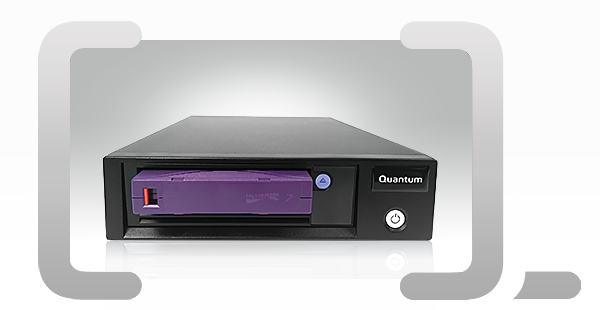 LTO-8 has read/write performance of up to 300MB/second and each tape cartridge has a native capacity of 12TB. An LTO-8 drive can read/write to LTO-7 and LTO-8 tape cartridges. It cannot read/write to LTO-6 tapes. LTO-8 M8 media? An LTO-7 tape formatted to M8 media in an LTO-8 drive results in 9TB of capacity. This is called LTO-8 M8. Only new LTO-7 tapes can be initialized as M8. Once a cartridge is in M8 format it cannot be changed back to a standard 6TB LTO-7 tape. M8 tapes can only be used in an LTO-8 drive as LTO-7 drives are not capable of reading M8. If you require any further information or have a requirement then please contact ImageStore on 02380 736500 or email us. We have certain products listed but if your require a Tape Library, a Thunderbolt version then contact us.